iMovie on iOS is one of the greatest mobile apps available for bare-bones basic video editing, but even on more full-scaled devices like the iPad Pro, it can fall short in terms of seemingly basic editing techniques. Take color correction, footage stabilization, or noise reduction, for example. It is not possible to do this on the iOS version of iMovie, though it can be easily done on a Mac. 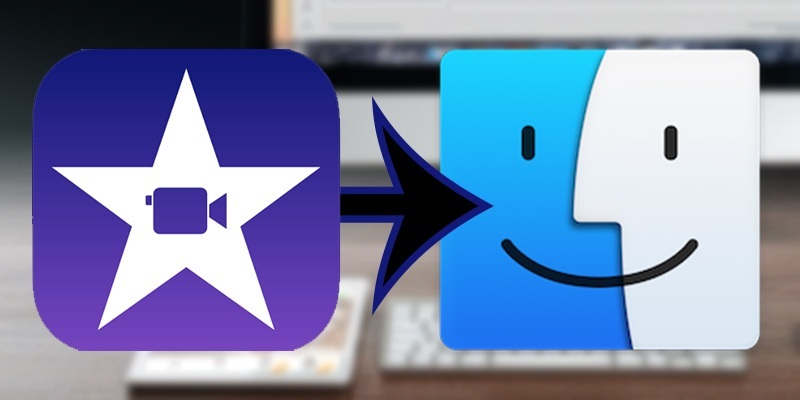 This article will cover how to go about transferring an iOS iMovie project in full to your Mac. First things first – Launch iMovie on your iOS device and select a project. 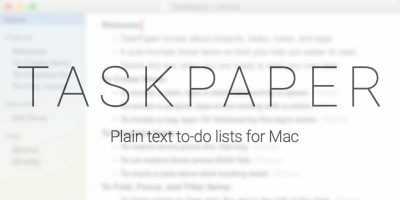 Do note that whatever the project happens to be named is what will show up on your Mac as well. So if you have a lot of files, you may want to consider changing the project name from something like “My Movie 1” to something more identifiable. 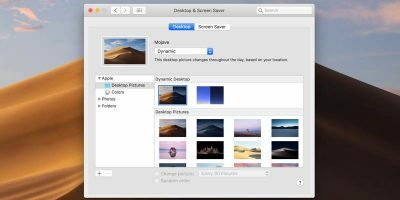 Turn on AirDrop on both your Mac and iOS device. Follow the following steps to do so. Swipe up to view Control Center. Verify that both Bluetooth and WiFi are on. 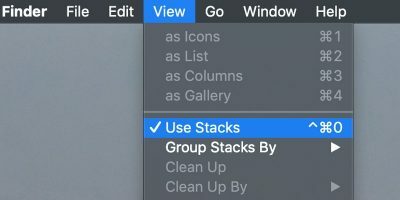 Click “Go” from the Menu Bar. Back on your iPad view your iMovie project and tap the “Export” icon. 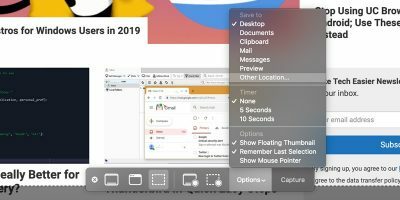 Wait for your Mac to appear in the AirDrop menu. When you see it, tap it. 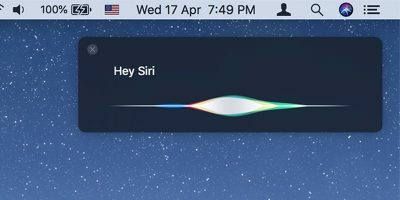 If it does not appear, reflect back on the steps to turn on AirDrop. 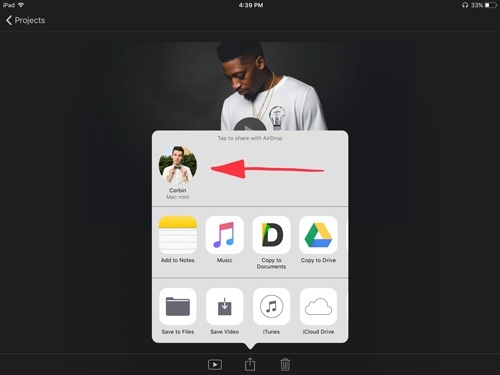 A “Share to AirDrop” window will open. 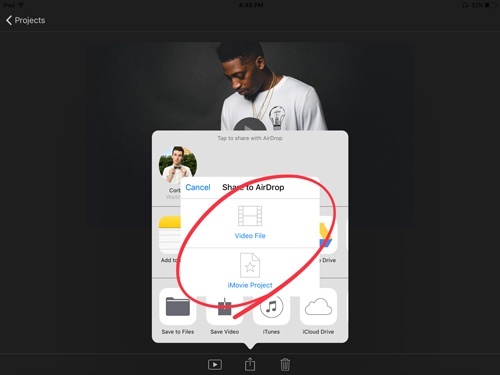 If you tap the “Video File” option, a MOV file will be exported as a quick export, meaning you will not be able to customize settings, and further edits will not be able to be made. 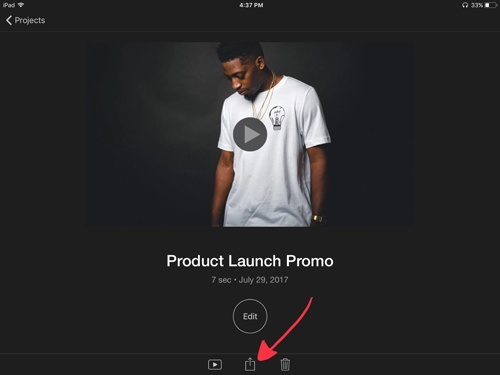 If the “iMovie Project” option is tapped, the file will AirDrop as a package that can be launched by iMove on your Mac for more edits. Depending on the project size, this may take some time. The status wheel will keep you updated on the progress. Launch Finder again on your Mac. Select “All My Files.” Sort your files by date added. Your iMovie project should now appear here with the iMovie icon and the title you gave it earlier. Double-click this file to launch iMovie and continue editing. Do note that since this was an entire “package” being transferred, all pieces of media including video, music, and text will have been copied over to your Mac. 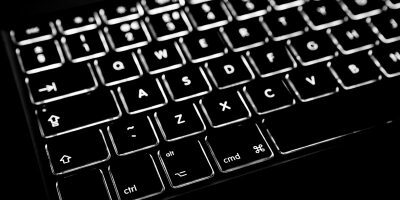 This is generally not seen in other programs such as Premiere where simply saving a file will not save the rest of your data – only the “skeleton” of the project, and time stamps of your data would be saved and then copied to another device. Keep this in mind when dealing with other software! They simply do not all work the same. That’s all there is to it! Happy editing. If you have any questions about the project, be sure to leave a comment down below.